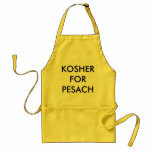 Turns out there are a lot of recipes already on this blog that are kosher for Pesach. And since we’re all a bit, uh, busy right now, I’ll do you a favor. I’ll sift through the blog for you. Cute Pesach granola idea. BTW, I hate to be a yenta, but do you have matzos coffee? break up a few matzos, pour boiling hot coffee over t hem to soften, then add milk and sugar and eat as you would oatmeal. I grew up on this stuff, but then again I’m old enough to be your Mom. Reading your post inspired me. I think I”m going to post matzos coffee, the ultimate Ashkenazi Pesach breakfast. Best wishes for a great holiday. I enjoy your blog and you sound like a very fun Mom. I never had matzos coffee…enjoy it! have a wonderful chag kasher v’sameach!